Ultimate simplicity, automatic retune with the power of ''motion'' electronics are what makes the CS1MX special. Like a race tuned engine, the CS1MX is apdapted to high speed detecting with increased depth of detection. 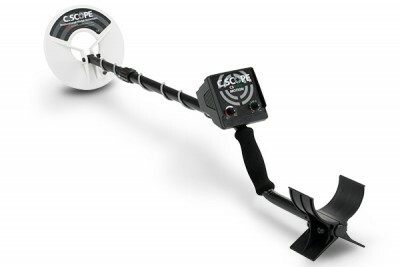 The lightweight and superb balance of the new C.Scope control box all add to the appeal of this introduction to power detecting at as eriously low price. Search head receiver signal - d.c.